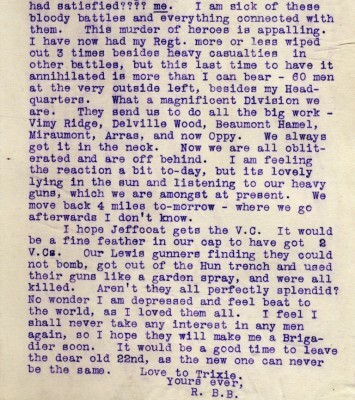 Barnett-Barker a usually stoical man writes, ‘This murder of heroes is appalling. I have had my Regt. 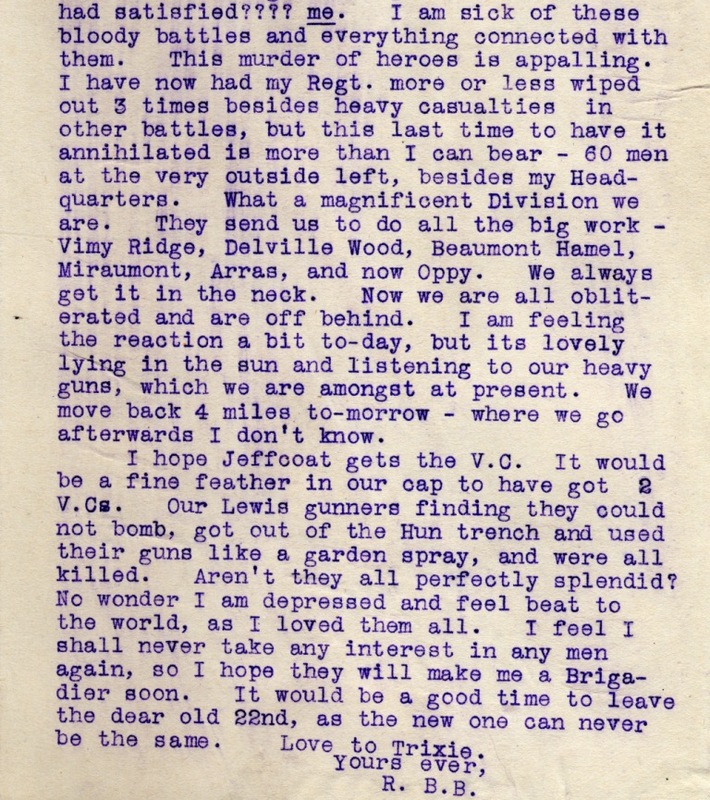 more or less wiped out 3 times besides heavy casualties in other battles, but this last time to have it annihilated is more than I can bear – 60 men at the outside left…’ A full battalion would have numbered around 1000 men. This shows us that much sadness was felt about the ‘ murder of heroes ‘. A horrific number of people died and even the most ‘ stoic ‘ people felt ‘ depressed ‘ because of the war.